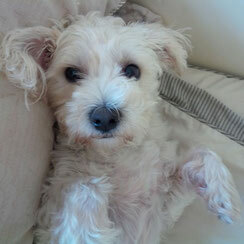 Here is Princess Lilly, the Bichon Westie Cross on her bed from the Jack, Lilly and Friends series. 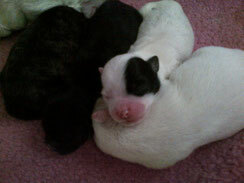 Here are some of Lilly's puppies from Lilly and Six Book, Jack Lilly and Friends. 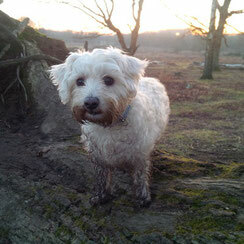 Lilly here on a country walk, playing in the mud. Jack, Lilly and Friends. 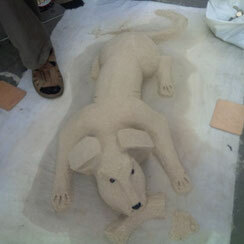 Sand sculpture of a dog. Jack, Lilly and Friends series. 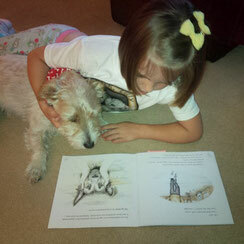 Mini Matilda and Jack reading Rescue Paddy from the Jack, Lilly and Friends series. 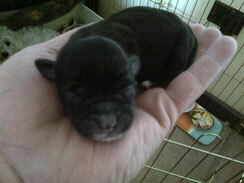 Tiny Puppy in Gerald Smythe's hand. 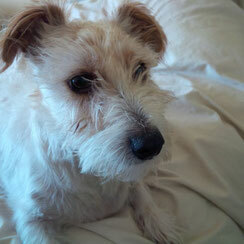 Author of Lilly and Six, Jack, Lilly and Friends. 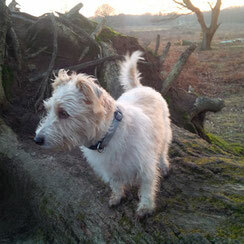 Jack also here on a country walk, playing the mud. Jack, Lilly and Friends. 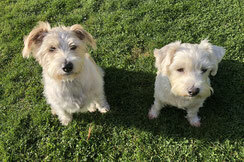 Here in Jack and Lilly in the autumn sun, close companions as ever. Jack, Lilly and Friends. 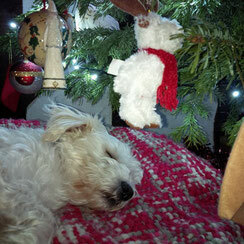 Grumpy Jack laying on his bed, from Jack, Lilly and Friends. 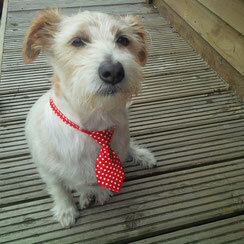 Proud and handsome Jack posing in his little polka-dot tie. 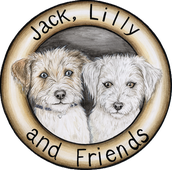 Jack, Lilly and Friends picture book series. 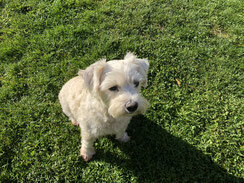 Princess Lilly enjoying the autumn sun. Jack, Lilly and Friends. 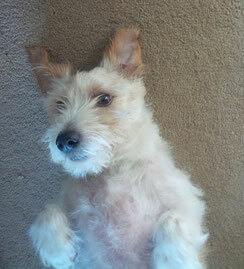 Jack awaiting his tummy to be rubbed. Jack, Lilly and Friends series. 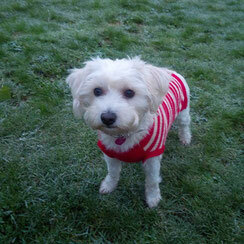 Winter has arrived, Lilly is in her winter Christmas jumper. Jack, Lilly and Friends. 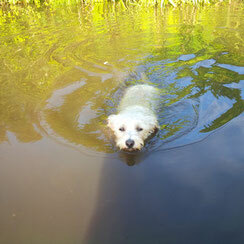 Lilly swimming in the pool, as featured on page 5 in Lilly and Six, from Jack, Lilly and Friends series.